I cannot praise your program enough - I got accepted! AGREEMENT BETWEEN YOU AND RUVENECO INC. The RUVENECO INC. Web Sites are offered to you conditioned on your acceptance without modification of the terms, conditions, and notices contained herein. Your use of the RUVENECO INC. Web Sites constitutes your agreement to all such terms, conditions, and notices. RUVENECO Inc. reserves the right to change the terms, conditions, and notices under which the RUVENECO INC. Sites/Services are offered, including but not limited to the charges associated with the use of the RUVENECO INC. Sites/Services. You are responsible for regularly reviewing these terms and conditions and additional terms posted on particular websites. Your continued use of the RUVENECO INC. Sites/Services constitutes your agreement to all such terms, conditions, and notices. The RUVENECO INC. Sites/Services are for your personal and non-commercial use. You may not modify, copy, distribute, transmit, display, perform, reproduce, publish, license, create derivative works from, transfer, or sell any information, software, products or services obtained from the RUVENECO INC. Sites/Services. Any dealings with third parties (including advertisers) included within the RUVENECO INC. Sites/Services or participation in promotions, including the delivery of and the payment for goods and services, and any other terms, conditions, warranties or representations associated with such dealings or promotions, are solely between you and the advertiser or other third party. RUVENECO Inc. shall not be responsible or liable for any part of any such dealings or promotions. As a condition of your use of the RUVENECO INC. Sites/Services, you will not use the RUVENECO INC. Sites/Services for any purpose that is unlawful or prohibited by these terms, conditions, and notices. You may not use the RUVENECO INC. Sites/Services in any manner that could damage, disable, overburden, or impair any RUVENECO INC. Site/Service(s) (or the network(s) connected to any RUVENECO INC. Site/Service(s)) or interfere with any other party's use and enjoyment of any RUVENECO INC. Site/Service(s). You may not attempt to gain unauthorized access to any RUVENECO INC. Site/Service, other accounts, computer systems or networks connected to any RUVENECO INC. Site/Service, through hacking, password mining or any other means. You may not obtain or attempt to obtain any materials or information through any means not intentionally made available through the RUVENECO INC. Sites/Services. RUVENECO INC. does not claim ownership of the materials you provide to RUVENECO INC. (including feedback and suggestions) or post, upload, input or submit to any RUVENECO INC. Site/Service or its associated services for review by the general public, or by the members of any public or private community, (each a "Submission" and collectively "Submissions"). However, by posting , uploading, inputting, providing or submitting ("Posting") your Submission you are granting RUVENECO INC. permission to use your Submission in connection with the operation of their businesses (including, without limitation, all RUVENECO INC. Sites/Services), including, without limitation, the license rights to: copy, distribute, transmit, publicly display, publicly perform, reproduce, edit, translate and reformat your Submission; to publish your name in connection with your Submission; and the right to sublicense such rights to any supplier of a RUVENECO INC. Site/Service. No compensation will be paid with respect to the use of your Submission, as provided herein. RUVENECO INC. is under no obligation to post or use any Submission you may provide and RUVENECO INC. may remove any Submission at any time in its sole discretion. All content and software that is made available to view and/or download in connection with the RUVENECO INC. Sites/Services, excluding content and/or software that may be made available by end-users through a Communication Service, ("Software") is owned by and is the copyrighted work of RUVENECO Inc. and/or its suppliers and is protected by copyright laws and international treaty provisions. Your use of the Software is governed by the terms of the end user license agreement, if any, which accompanies or is included with the Software ("License Agreement"). You may not install or use any Software that is accompanied by or includes a License Agreement unless you first agree to the License Agreement terms. 45 days or more before course commencement date. 30 days or more before course commencement date. 29 days or less before course commencement date. Please note that there is strictly no refund of course fees after the course commencement date. Please allow 7 days processing time for all refund payments. In the unlikely event that The Gold Standard fails to start the course on the prescribed date, or change the type of course offered, you are allowed to withdraw from the course enrolled and get a full refund. The Gold Standard reserves the right to withdraw courses offered as classes will commence subject to meeting minimum student numbers. In the event of course withdrawal, you will receive a full refund of the course fees paid. There is no refund for tangible materials (books, DVDs, MP3s, CDs, flashcards, etc.). All sales are final. If an item is shown to be defective within 30 days of purchase, at our discretion, we will promptly either replace it or provide online access up to the next sitting of the exam as a form of replacement. There is no refund for online courses, programs and practice tests. All sales are final. Students are responsible for canceling any subscription to which they have signed up in order to prevent being charged for a time period that they no longer want. We provide no guarantees, expressed or implied, of 100% server uptime. We can provide basic technical support for our own online programs but students are responsible for the proper functioning of their own computers and internet connections. THE INFORMATION, SOFTWARE, PRODUCTS, AND SERVICES INCLUDED IN OR AVAILABLE THROUGH THE RUVENECO INC. SITES/SERVICES MAY INCLUDE INACCURACIES OR TYPOGRAPHICAL ERRORS. CHANGES ARE PERIODICALLY MADE TO THE RUVENECO INC. SITES/SERVICES AND TO THE INFORMATION THEREIN. RUVENECO INC. AND/OR ITS RESPECTIVE SUPPLIERS MAY MAKE IMPROVEMENTS AND/OR CHANGES IN THE RUVENECO INC. SITES/SERVICES AT ANY TIME. ADVICE RECEIVED VIA THE RUVENECO INC. SITES/SERVICES SHOULD NOT BE RELIED UPON FOR PERSONAL, MEDICAL, LEGAL OR FINANCIAL DECISIONS AND YOU SHOULD CONSULT AN APPROPRIATE PROFESSIONAL FOR SPECIFIC ADVICE TAILORED TO YOUR SITUATION. RUVENECO INC. AND/OR ITS RESPECTIVE SUPPLIERS MAKE NO REPRESENTATIONS ABOUT THE SUITABILITY, RELIABILITY, AVAILABILITY, TIMELINESS, LACK OF VIRUSES OR OTHER HARMFUL COMPONENTS AND ACCURACY OF THE INFORMATION, SOFTWARE, PRODUCTS, SERVICES AND RELATED GRAPHICS CONTAINED WITHIN THE RUVENECO INC. SITES/SERVICES FOR ANY PURPOSE. ALL SUCH INFORMATION, SOFTWARE, PRODUCTS, SERVICES AND RELATED GRAPHICS ARE PROVIDED "AS IS" WITHOUT WARRANTY OF ANY KIND. RUVENECO INC. AND/OR ITS RESPECTIVE SUPPLIERS HEREBY DISCLAIM ALL WARRANTIES AND CONDITIONS WITH REGARD TO THIS INFORMATION, SOFTWARE, PRODUCTS, SERVICES AND RELATED GRAPHICS, INCLUDING ALL IMPLIED WARRANTIES AND CONDITIONS OF MERCHANTABILITY, FITNESS FOR A PARTICULAR PURPOSE, WORKMANLIKE EFFORT, TITLE AND NON-INFRINGEMENT. YOU SPECIFICALLY AGREE THAT RUVENECO INC. SHALL NOT BE RESPONSIBLE FOR UNAUTHORIZED ACCESS TO OR ALTERATION OF YOUR TRANSMISSIONS OR DATA, ANY MATERIAL OR DATA SENT OR RECEIVED OR NOT SENT OR RECEIVED, OR ANY TRANSACTIONS ENTERED INTO THROUGH AN RUVENECO INC. SITE/SERVICE. YOU SPECIFICALLY AGREE THAT RUVENECO INC. IS NOT RESPONSIBLE OR LIABLE FOR ANY THREATENING, DEFAMATORY, OBSCENE, OFFENSIVE OR ILLEGAL CONTENT OR CONDUCT OF ANY OTHER PARTY OR ANY INFRINGEMENT OF ANOTHER'S RIGHTS, INCLUDING INTELLECTUAL PROPERTY RIGHTS. YOU SPECIFICALLY AGREE THAT RUVENECO INC. IS NOT RESPONSIBLE FOR ANY CONTENT SENT USING AND/OR INCLUDED IN A RUVENECO INC. SITE/SERVICE BY ANY THIRD PARTY. RUVENECO Inc. will immediately terminate any account which it believes, in its sole discretion, is transmitting or is otherwise connected with any spam or other unsolicited bulk email. In addition, because damages are often difficult to quantify, if actual damages cannot be reasonably calculated then you agree to pay RUVENECO Inc. liquidated damages of $15 US for each piece of spam or unsolicited bulk email transmitted from or otherwise connected with your account, otherwise you agree to pay RUVENECO Inc.'s actual damages, to the extent such actual damages can be reasonably calculated. This agreement is governed by the laws of the Province of Quebec, Canada. You hereby irrevocably consent to the exclusive jurisdiction and venue of courts in Montreal, Quebec, Canada in all disputes arising out of or relating to the use of the RUVENECO INC. Sites/Services. You agree that no joint venture, partnership, employment, or agency relationship exists between you and RUVENECO Inc. as a result of this agreement or use of the RUVENECO INC. Sites/Services. You agree to indemnify and hold RUVENECO Inc., its parents, subsidiaries, affiliates, officers and employees, harmless from any claim, demand, or damage, including reasonable attorneys' fees, asserted by any third party due to or arising out of your use of or conduct on the RUVENECO INC. Sites/Services. RUVENECO Inc. reserves the right to disclose any personal information about you or your use of the RUVENECO INC. Sites/Services, including its contents, without your prior permission if RUVENECO Inc. has a good faith belief that such action is necessary to: (1) conform to legal requirements or comply with legal process; (2) protect and defend the rights or property of RUVENECO Inc. or its affiliated companies; (3) enforce the terms or use; or (4) act to protect the interests of its members or others. RUVENECO Inc.'s performance of this agreement is subject to existing laws and legal process, and nothing contained in this agreement is in derogation of RUVENECO Inc.'s right to comply with governmental, court and law enforcement requests or requirements relating to your use of the RUVENECO INC. Sites/Services or information provided to or gathered by RUVENECO Inc. with respect to such use. If any part of this agreement is determined to be invalid or unenforceable pursuant to applicable law including, but not limited to, the warranty disclaimers and liability limitations set forth above, then the invalid or unenforceable provision will be deemed superseded by a valid, enforceable provision that most closely matches the intent of the original provision and the remainder of the agreement shall continue in effect. Unless otherwise specified herein, this agreement constitutes the entire agreement between the user and RUVENECO Inc. with respect to the RUVENECO INC. Sites/Services and it supersedes all prior or contemporaneous communications and proposals, whether electronic, oral or written, between the user and RUVENECO Inc. with respect to the RUVENECO INC. Sites/Services. A printed version of this agreement and of any notice given in electronic form shall be admissible in judicial or administrative proceedings based upon or relating to this agreement to the same extent and subject to the same conditions as other business documents and records originally generated and maintained in printed form. RUVENECO INC. is neither associated nor affiliated with the trademark owners of the following tests, nor do those trademark owners endorse RUVENECO INC. Sites or Services. GAMSAT is administered by ACER which is not associated with RUVENECO INC. MCAT is a registered trademark of the Association of American Medical Colleges. Graduate Management Admission Test (GMAT) is a registered trademark of the Graduate Admission Management Council. Graduate Management Admission Council is a registered trademark of the Graduate Management Admission Council. Graduate Record Examination (GRE) is a registered trademark of Educational Testing Service. LSAT is a registered trademark of the Law School Admission Council, Inc. TOEFL is a registered trademark of the Educational Testing Service. USMLE is a joint program of The Federation of State Medical Boards of the United States, Inc. and the National Board of American Medical Examiners. DAT and OAT are registered trademarks of the American Dental Association. Educational Testing Service, ETS, and the ETS logo are registered trademarks of the Educational Testing Service. College Board is a registered trademark of the College Entrance Examination Board. 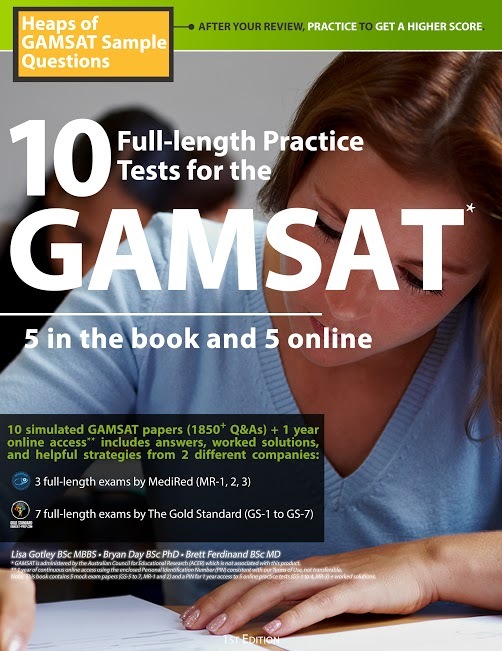 SAT is a registered trademark of the College Entrance Examination Board. All contents of the RUVENECO INC. Web Sites are: Copyright (c) 1993- RUVENECO Inc. and/or its suppliers. All rights reserved. TRADEMARKS/SERVICE MARKS. RUVENECO Inc., The only prep you need, The Gold Standard, The Platinum Program and/or other RUVENECO Inc. products and services referenced herein may also be either trademarks/service marks or registered trademarks/service marks of RUVENECO Inc. The names of actual companies and products mentioned herein may be the trademarks/service marks of their respective owners.